Portuguese is spoken by about 240 million people mainly in Brazil (Brasil) and Portugal, and also in Angola, Mozambique , Cape Verde , Guinea-Bissau , East Timor (Timor-Leste) and Macau. 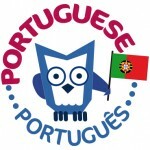 There are also communities of Portuguese speakers in the USA, Canada and a number of other countries. Watch out for the range of products that are coming will help you on the road to teaching your child Portuguese.